Social networking sites can really help you in enhancing the traffic on your blog. 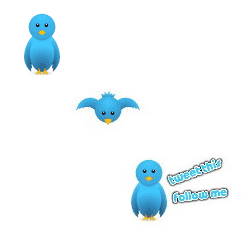 Let me introduce a cute little flying Twitter bird for your blogger blog. I hope you have already seen the one on this page.This is not just a flying bird widget. Once a reader places his/her cursor on this bird it will show two options. 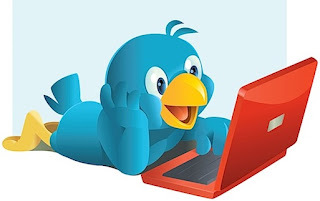 One is to tweet your post on Twitter and other is to follow you in twitter. I am sure that this cute little bird can attract you reader. Because it will fly down and up with every single scroll. So a click is guaranteed. Your traffic will multiple easily. And of course, this bird will make your blog more lively. Let me explain the method. 4. Then copy the following code and paste it below the </body> code. 5. Then replace the sentence "Add your Twitter name here" with your twitter name. 6. Ok. Now click on Save Template at the bottom of your page.